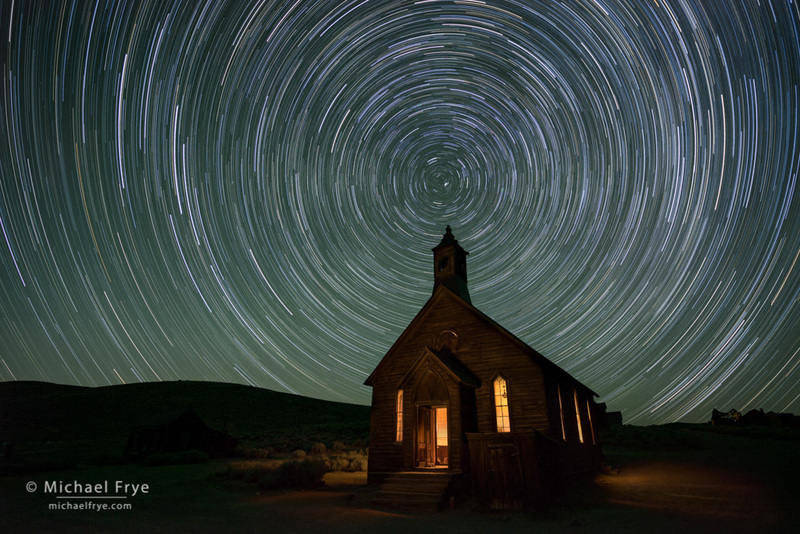 Bodie State Historic Park is perhaps the best-preserved ghost town in the country, and a fantastic location for night photography. 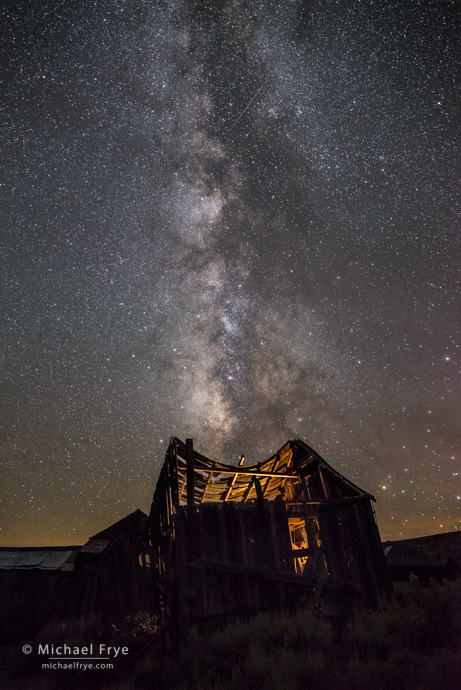 In this workshop we’ll spend two nights in Bodie, with exclusive after-hours access, allowing us to capture the beauty and mystery of this special place under the stars. The workshop is timed for the new moon, so we’ll have dark skies for capturing the Milky Way and star trails. 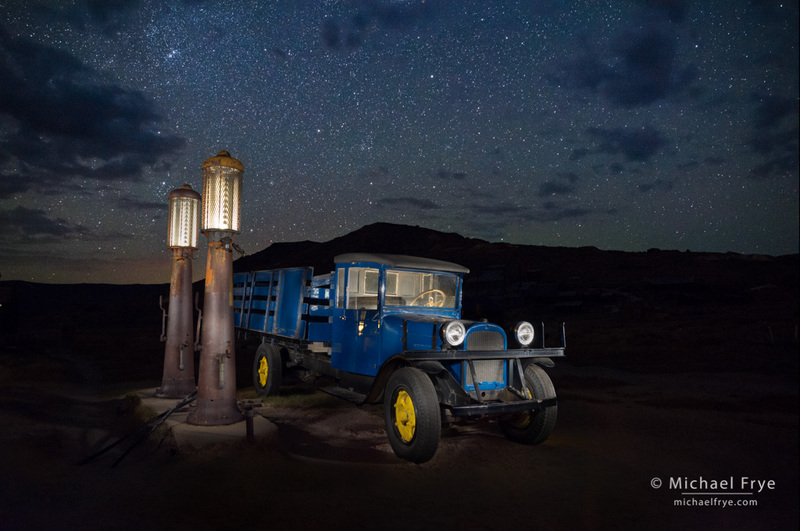 The workshop includes instruction on photographing the night sky, light-painting, and image processing. 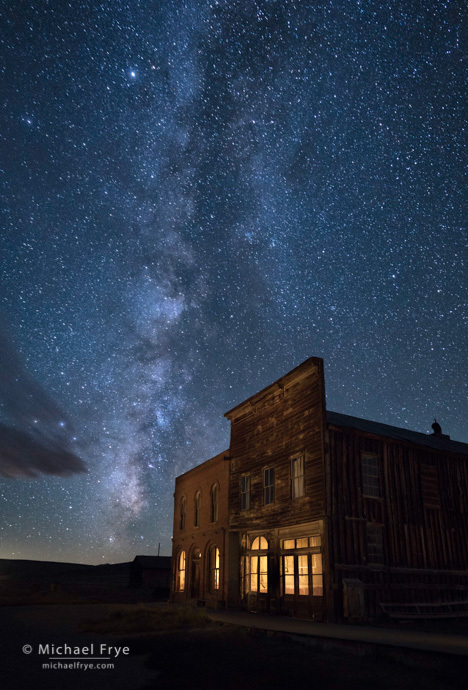 However, since we won’t have much time for instruction before our first night session in Bodie, participants should have previous nighttime photography experience. See the FAQ page for more information about the experience required.